With iOS 7 beta 1 being made available to those who are registered Apple developers (at $99 a pop), Apple's new streaming music service is now live for some code jockeys to use before it gets rolled out to the general public with the launch of iOS 7 next quarter. So far, one interesting little tidbit from iTunes Radio is that it reveals the first ad content ever on the Apple iPhone lock screen. The ad is actually for iTunes itself. When you are listening to the soothing tunes coming from your iPhone, you can lock the screen and let the music play. When the phone wakes, it will show cover art of the album from which the track you're listening to belongs. 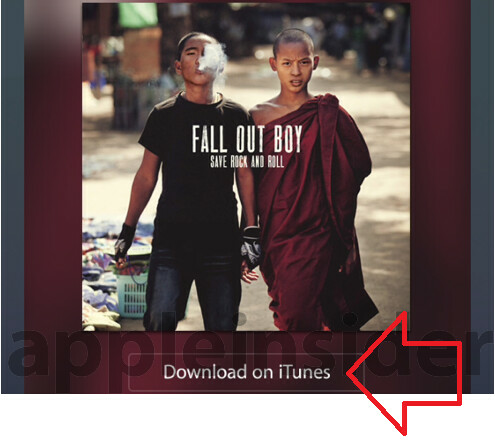 On the bottom of the cover art is a link that enables you to purchase the song you're hearing from iTunes. 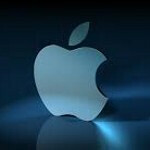 This link only appears if you're not a subscriber to the $24.99 Apple iTunes Match service. Subscribers to the service will see only the cover art. Those iTunes Match subscribers looking to buy a particular tune can do so by opening up the music application on the phone. That will reveal a link on the right hand side to iTunes along with the price to download the song. This could change once iOS 7 gets out of beta, but for now the Apple iPhone has its first lock screen ad. Loving Google's Play Music All Access! You can keep your Pandora. I'm loving it too! XD I converted from slacker. All access is much better. I'll stick with more superior Spotify. Not sure how superior Spotify truly is. Google Play is $2 cheaper per month, has a much nicer interface, all of the music I've seen on Spotify, and a web interface rather than an install (which barely runs on Linux, by the way). I believe Google Play play on higher Bitrate?? Can someone confirm this for me? It is also $95 more per year ($71 if you have the early discount). No thank you. As long as I don't get some stupid Hater-Birds-game Ad, I'm okay with that. Very true. At least it's relevant. Well at least it's not an irrelevant ad. I can live with an ad that asks if I want to purchase what I'm listening to. Also it doesn't look like an in-your-face-ad that you have to dismiss before you can do anything else. I'm not an Apple fan by any means, but well said. I too can tolerate an ad that is relevant and not intrusive. In my opinion its not really an ad, its a link to the track on iTunes. Also you could argue that in fact the ad could be somewhat helpful for people who decide they want to buy the music they are streaming. I think its like their Show Complete Album feature on their music player. If you're on Android 4.1 or later, tap and hold on the notification and uncheck "show notifications"
Adblock does the job on unrooted devices. Lock screen ads and notification ads are adware, I don't think Google Play allows those. I avoid apps that put ads in the notification bar. When I get a full screen ad, I hit the back button until I return to the app I was in. Never have had lock screen ads. And to keep the browser from opening up, don't tap on the ad. Must we have ads on every piece of technology? If it's a free service, either there will be ads, or the company is using your data. Ad blockers and Do not track me for life. Quit overreacting. It's just a link to buy the song if you like it. It's not even an ad. they act like android doesn't have ads... smh. Anything to entertain the hate... sigh! I barely consider that an ad. More like a link if you wanna buy the song you're listening to, which is logical. Clicked on the link out of curiosity to see if Apple really has gone down that route and don't get the big deal over this. So you can buy what you are streaming, shouldn't they all do that? In comparison, free Pandora is the epitome of adds done wrong, now that I have Google streaming service I'll be deleting Pandora without hesitation.